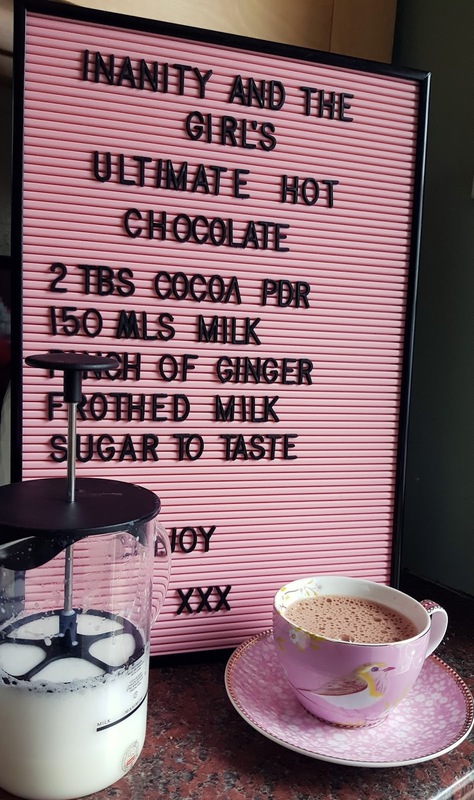 Today I'm giving you my favourite grown up recipe for hot chocolate. No marshmallows (I know hear me out) but ginger, good cocoa powder, milk, then add some frothed milk on top. It's a sweet, warm, cold busting elegant chocolate that I hope you'll try. 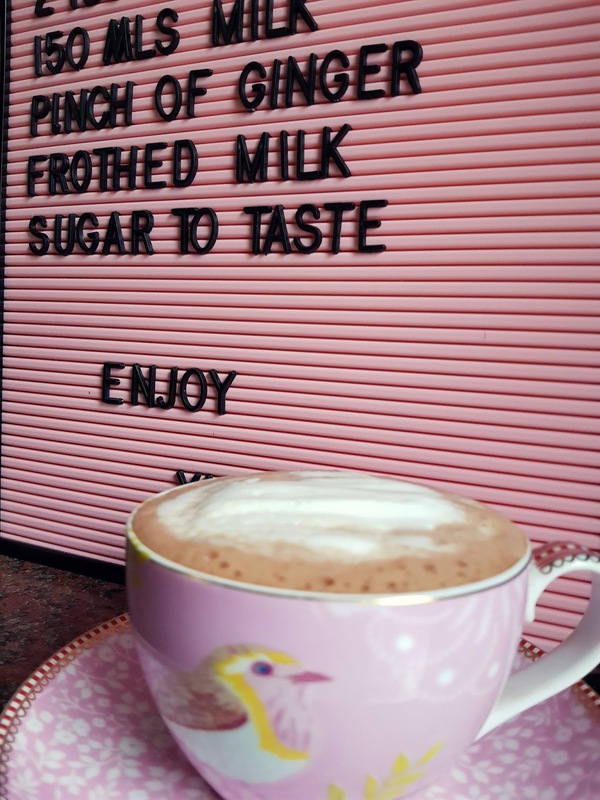 To up the tastiness, you have to add the foamed milk, I used the Bodum milk frother, microwaved the milk in the glass section, added some powdered ginger then a few quick plunges and the milk has frothed and doubled in size and the foam is infused in ginger warmth. When I was trying out the Bodum frother I threw it out to Instagram, asking if they had any tips, and they didn't let me down. 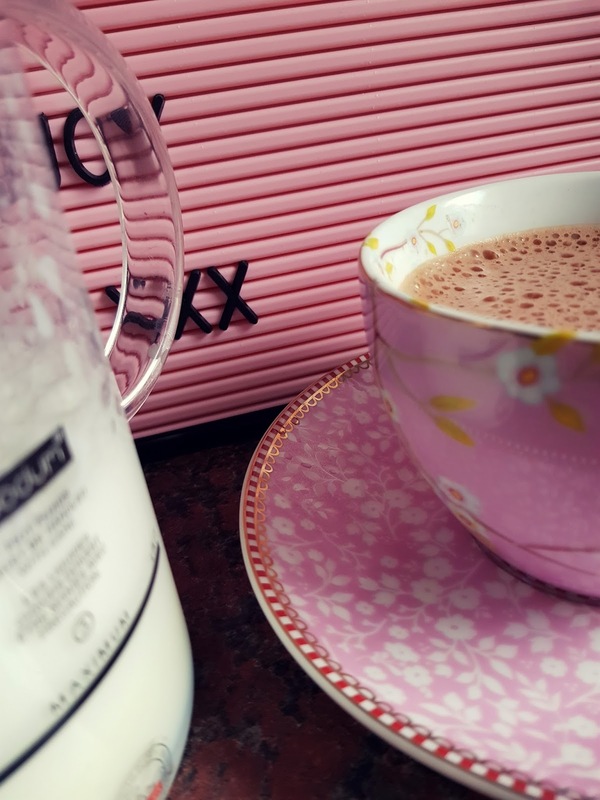 From the extra 30 seconds post froth in the microwave to get that drier foam, to the syrups you can add to the milk to get a perfect flavoured coffee infusion. In fact I got reports that it is such a stable in kitchens that it is a solid part of morning routines, and was replaced instantly when they dropped it by accident. So what's it like? It's super easy. Pour the milk in the glass container, 1.5 minutes in the microwave, take it out and plunge until the foam is as aerated and the size you want it, then a quick 30 seconds in the microwave for a drier foam and that's it. Easy peasy! So try out the recipe, get that lovely rich dark chocolate and ginger hit. Top it off with warm foam and there you go super elegant hot chocolate. Anyone else a foamer fan, you can check out a whole list of popular foamers and their pros and cons here?